This is a two page summary of key changes included in the 2015 World Anti-Doping Code. 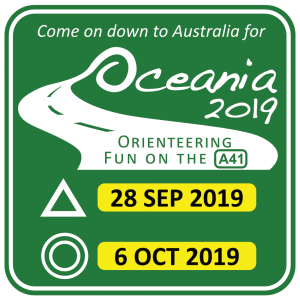 Orienteering NZ is committed to the advancement of clean sport that rejects cheating through the use of performance enhancing drugs and methods. support athletes to compete drug free. If you’d like more information about anti-doping or to receive some anti-doping education contact Drug Free Sport NZ here. 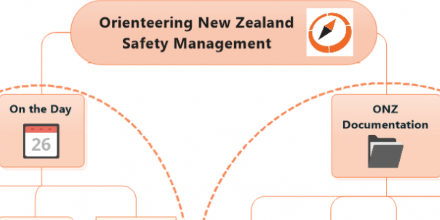 All members of Orienteering NZ must abide by New Zealand’s Sports Anti-Doping Rules. These rules reflect the World Anti-Doping Agency’s World Anti-Doping Code. From January 1, 2015 major changes to the World Anti-Doping Code will come into force. These changes are designed to be tougher on real cheats. They include new rules and longer bans for athletes who dope. If you’re an athlete, it’s important you know about the changes and what you need to do to ensure you comply with the rules. To find out more, read Drug Free Sport NZ’s factsheet on changes to the World Anti-Doping Code 2015 here. You can view the full WADA Prohibited List here or you can download the prohibited list as an app for your iphone or ipad here. Many medications contain substances which are prohibited in sport so if an athlete is sick or injured they need to be careful about what they take so that they don’t return a positive test. Athletes who have a common condition such as asthma, diabetes, ADHD or an infection need to check whether their treatment is permitted in sport. understand and follow the Therapeutic Use Exemption process if they need to take a mediation that contains a prohibited substance. Drug Free Sport NZ provides Athlete Anti-Doping ID cards which athletes can show to medical professionals to alert them to the need to check the status of medications in sport. Drug Fee Sport NZ also has a handy wallet guide to the status of common medications in sport. Order your ID card and/or wallet guide here. using Drug Free Sport NZ’s wallet guide to the status of common medications. If athletes need to take a medication which is prohibited in sport, then they can apply for a Therapeutic Use Exemption (TUE). Athletes who compete at a national or international level will need to apply for a TUE before they take any medication. Find out more about TUEs here. There are many dietary or sports supplements which are marketed as helping to improve performance, recovery, weight loss or muscle development. Supplements can contain substances which are prohibited in sport and many products may not accurately label ingredients so you cannot be sure of exactly what’s in them. Drug Free Sport NZ can provide some assessment of the level risk associated with supplements and may be able to identify products which are known to be a problem. Lodge a supplement query with Drug Free Sport NZ here or phone them on 0800 DRUGFREE (378 437). Anti-doping organisations, including Drug Free Sport NZ, conduct “surprise” drug tests on athletes out-of-competition with no advance warning. Athletes will be told if they are part of the whereabouts programme. If they are, they will need to log information with Drug Free Sport NZ regularly so that they can be easily located. This information will include details about where they are living, working, training, and travelling. Find out more about the whereabouts programme here. Drug testing is one of the best ways to catch athletes who are doping and to protect athletes who are clean competitors. Athletes being tested for the first time may be nervous but if they know a bit more about the process it can relieve these nerves. recognise that if they choose to eat or drink before providing a sample, that they do so at their own risk. Athletes can be tested during an event (in-competition) or at any other time (out-of-competition) and will be asked to provide a urine sample, a blood sample or both. Sample collection for doping control will be carried out by a trained and accredited Drug Free Sport NZ official. check and sign the relevant paper work and take a copy. The samples are then transported to an accredited laboratory for analysis. Drug Free Sport NZ will notify athletes of the results in a few weeks. Click here for more details about doping control and the testing process.